The Bala Lake Railway (Rheilffordd Llyn Tegid) is a 2 ft (610 mm)-gauge railway along the southern shore of Bala Lake in Gwynedd, North Wales. The line, which is 4 1⁄2 miles (7.2 km) long, is built on a section of the former standard-gauge Ruabon–Barmouth GWR route that closed in 1965. There is a scheme to extend the line on a new alignment into Bala Town. 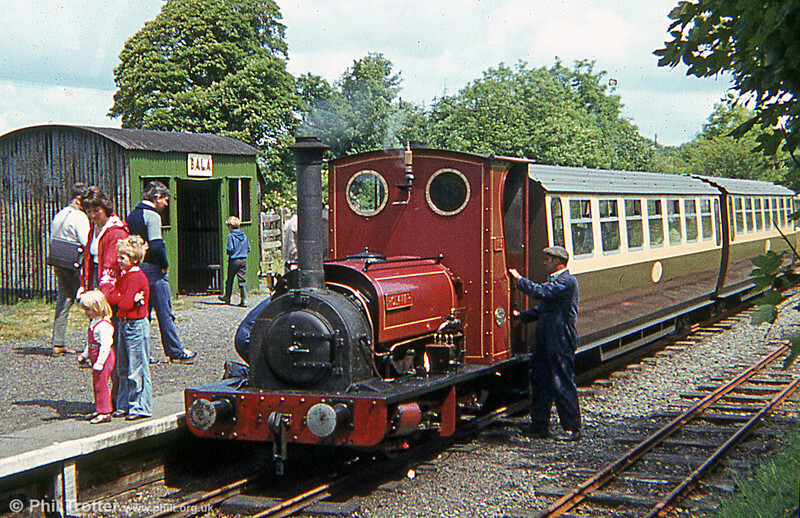 Bala Lake Railway Hunslet 0-4-0ST (779/1902) No. 3 'Holy War' at Bala.